All Fountain of the Sun homes currently listed for sale in Mesa as of 04/25/2019 are shown below. You can change the search criteria at any time by pressing the 'Change Search' button below. 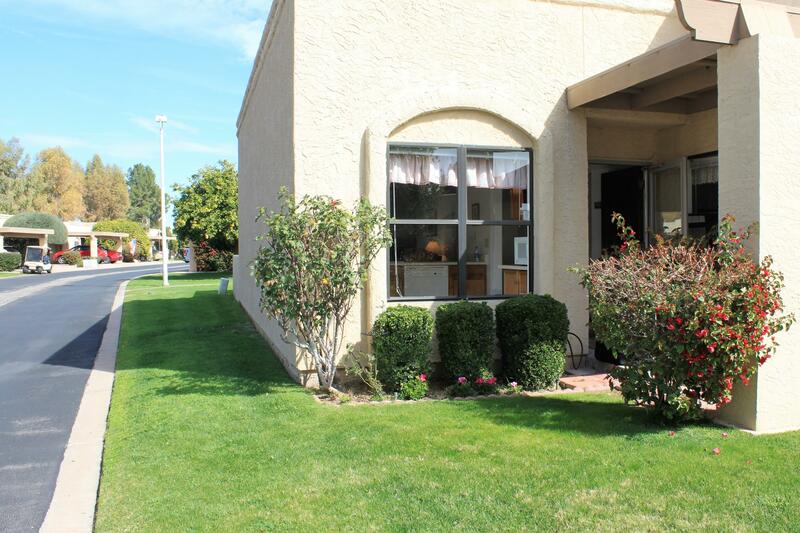 "Active Adult 55+ Gated Community, FOUNTAIN OF THE SUN! Beautiful move-in ready property! Updated laminate flooring thru-out home, new dual pane windows (2017), solar tube, ceiling fans, 2 sheds and screened in porch. Fully fenced yard, breakfast bar in kitchen and double ovens. Move in ready condition! Enjoy this Country Club & Golf Community offering lakes, billiards, top of the line golf course, post office, you name it we have it here! Lots of planned activities, pickle ball, yoga, art"
"Nice end-unit patio home on the green belt leading to the heated swimming pool. Fountain of the Sun is one of Mesa's most desirable active adult communities. 2 bedroom 2 bath with single car carport. Master bathroom shower was beautifully remodeled to allow roll-in accessibility. Kitchen is open and sunny. with extra built-in storage. Offered furnished so all you need to bring is your golf clubs, pickleball racket and swimming suit! Convenient to US 60, Mesa Gateway airport, San Tan & Supersti"